but aren’t quite sure how to take care of them? Dr. Kenneth Welle, a veterinarian at the University of Illinois Veterinary Teaching Hospital in Urbana who sees exotic pets—birds, reptiles, and small mammals—on a daily basis, explains how to properly care for a rabbit. 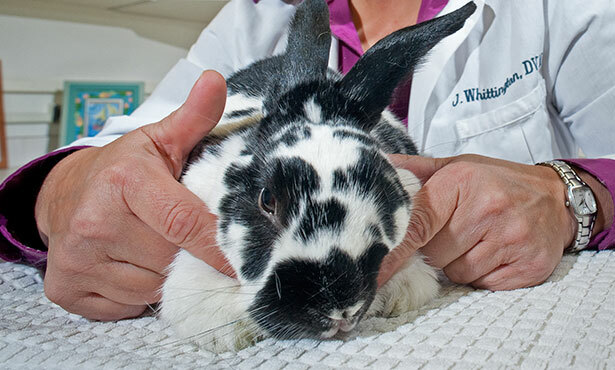 Dr. Welle recommends adopting a pet rabbit from a rabbit rescue organization. Animal shelters for cats and dogs may also have rabbits waiting for their forever home. Look for a healthy rabbit, one with clear eyes and no nasal discharge or swelling around the face. “If you plan to keep your rabbit in a cage, the cage should be large,” says Dr. Welle. “The minimum optimal size is at least four times the length of the rabbit by two times the length of the rabbit. The larger the cage, the more exercise the rabbit will get and the healthier and happier your pet will be. Rabbits can also be kept loose in a room of the house—so long as you “rabbit proof” the room first. There can be no electrical cords or other things lying around for the rabbit to chew on or get into. A rabbit that has a whole room to roam is a healthy rabbit, if the room is free of hazards. A soft and absorbent substrate, such as a paper based non-aromatic product, is ideal for lining the bottom of the cage. Rabbits should also be provided with a litter box, since they can be trained to use one just as a cat does. Since rabbits are a prey species, they like to feel enclosed and to have a sense of security within their habitat. Dr. Welle recommends giving rabbits a second box, in addition to their litter box, so they have somewhere to hide and feel safe. They enjoy burrowing, digging, and foraging, so additions that encourage these natural behaviors would be ideal. Adding a tubular structure to their cage or room for them to crawl through will engage them and help keep them active. A couple of cups of fresh, leafy greens, such as romaine, lettuce, and kale, should also be provided every day. 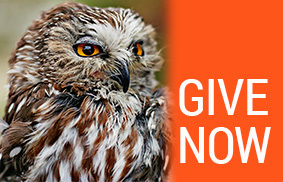 Pelleted food—without seeds—can also be given, but should be done so on a restricted basis. Rabbits chew pellets in a way that does not grind down their teeth, so too much of this type of food can lead to dental problems. According to Dr. Welle, there are no commercially available vaccines that are appropriate for rabbits. While rabbits occasionally get fleas, owners should consult a veterinarian to treat this problem because some commercially available flea medications can kill rabbits. Some common health problems in rabbits include dental disease, gastrointestinal stasis (when the food does not move through the digestive tract), bacterial infections of the upper respiratory tract, Encephalitozoon cuniculi (an intracellular parasite), and uterine cancer. Rabbits typically live from 8 to 10 years of age, and their lifespan is improving. Whether it is safe to house rabbits in a household with other pets is very dependent upon the other animal. For example, a dog or a cat may hunt the rabbit. Dr. Welle also explains that rabbits have a certain naturally occurring bacteria in their respiratory tract that may cause pneumonia in guinea pigs, and therefore rabbits and guinea pigs should not be housed together. For more information about rabbit husbandry, contact a veterinarian familiar with rabbits.